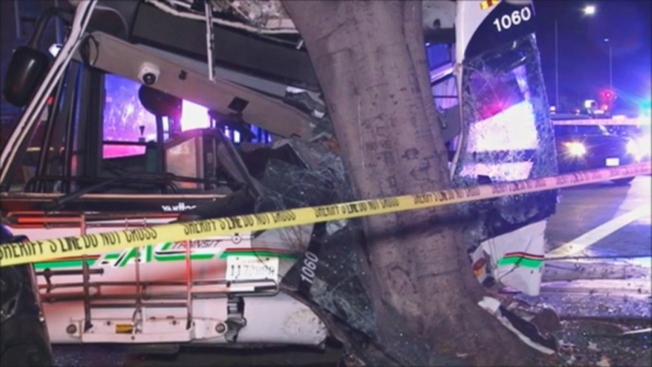 A driver suffered serious injuries when an AC Transit bus slammed into a tree in Oakland late Monday night. Oakland police said the bus was in an accident at 10th and Oak streets just before 10 p.m. The driver was taken to the hospital, police said.